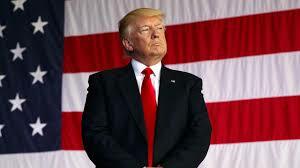 Washington: The United States will get down to working on several options regarding a military response to Russia’s violations of its obligations under the Intermediate Nuclear Forces Treaty in order to neutralize Moscow’s advantages, US President Donald Trump said in a statement. “Tomorrow, the United States will suspend its obligations under the INF Treaty and begin the process of withdrawing from the INF Treaty, which will be completed in six months unless Russia comes back into compliance by destroying all of its violating missiles, launchers, and associated equipment. Our NATO Allies fully support us, because they understand the threat posed by Russia’s violation and the risks to arms control posed by ignoring treaty violations,” the statement reads. “We cannot be the only country in the world unilaterally bound by this treaty, or any other. We will move forward with developing our own military response options and will work with NATO and our other allies and partners to deny Russia any military advantage from its unlawful conduct,” Trump said. “My Administration remains committed to effective arms control that advances United States, allied, and partner security, is verifiable and enforceable, and includes partners that fulfill their obligations. For arms control to effectively contribute to national security, all parties must faithfully implement their obligations. We stand ready to engage with Russia on arms control negotiations that meet these criteria, and, importantly, once that is done, develop, perhaps for the first time ever, an outstanding relationship on economic, trade, political, and military levels,” the US President pointed out. “This would be a fantastic thing for Russia and the United States, and would also be great for the world,” Trump added. US Secretary of State Michael Pompeo said that the US would suspend its obligations under the INF Treaty on February 2.